was sacrificed of his own will for all, a Pasch of cleansing. Today throughout the whole Universe the joyful good news resounds with one voice: “Christ is risen!” In these words are found the power and profession of the central truth of the Christian faith. “Truly He is risen” is the response of those who believed in the resurrection of our Savior and in His victory over hell and death. Our faith in the Risen One is our faith in that resurrection which we all can personally experience. Indeed, it is because of our faith that we become Christians, that is, partakers in the eternal life of our Divine Savior, who today emerges from the sealed tomb in glory. It is for this reason that St Paul the Apostle affirms: “if you confess with your mouth that Jesus is Lord and believe in your heart that God raised Him from the dead, you will be saved. For with the heart one believes and is justified, and with the mouth one confesses and is saved (Rom 10:9-10). We celebrate an event to which the holy apostles bore witness. Through the grace of the Holy Spirit in our paschal services we can experience that which was experienced by the women myrrh-bearers at the tomb and by the apostles who personally encountered the risen Savior and were His witnesses to the ends of the earth. Today, on this light-filled feast, let us once again unite ourselves to Him and proclaim to Him in the words of the Apostle Thomas: “My Lord and my God” (Jn 20:28). Who is this Christ, whom we find risen from the grave? First of all, He is the incarnate God who conquered death and whom the gates of Hades could not contain. Our Paschal Matins service likens Jesus Christ to the paschal lamb, offered in sacrifice for the liberation and salvation of the chosen people. On that first paschal night, the death-bringing angel in Egypt passed by those whose house was marked by the blood of the paschal lamb, and then began the exodus of the chosen people from slavery to freedom. The risen Lord Jesus Christ is our true paschal Lamb, as St. John the Theologian attests when in the words of the Baptizer already at the beginning of the Gospel he bears witness to Jesus: “Behold, the Lamb of God, who takes away the sin of the world!” (Jn 1:29). Indeed, He is the One, who this night with His light dispelled the darkness of the slavery of sin and leads behind Him all of us from death to life and from earth to heaven. 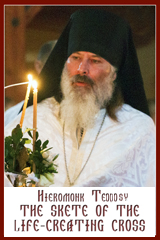 If in our Holy baptism we have mystically died and risen with Christ, if we partake of His Body and Blood, that is, if we consume the Pascha of the New Covenant, and are signed by the blood of Christ, then death bypasses us, “passes over,” and the doors of heaven are opened before us. Each time we pray the Divine Liturgy we become partakers of the resurrection, that is, of that life which today shines upon us from the empty tomb. And this life of the Risen One is a blessed crown for us, children of God, a sign of our dignity and our vocation to be His witnesses in the world and proclaimers of His Gospel. To celebrate the Christian Pascha for us today means to be capable to rise up and awaken to action by the power of the Risen One, that is, to be capable of personal paschal self-sacrifice for the good of one’s people, their freedom, and a better future. Gazing at the faces of our Ukrainian soldiers-heroes, who gave up their lives for their people, we can rest assured that the Heavenly Father accepts their sacrifices in the name of His Son. Indeed, in them through the risen Christ we already have victory over evil and a healing of spiritual and bodily wounds. To celebrate the Christian Pascha for us today means to carry the victory of life to where death rules. 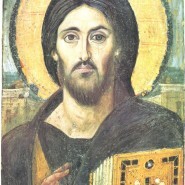 To sincerely confess that Christ is “truly risen” means to believe that through our personal commitment and effort it is truly possible to overcome corruption and untruth in our society, that the kind of country we will have depends, in fact, on us: will it die, a victim of the merciless powers of this world, or will it stand up, awaken, be renewed and arise to an authentic life worthy of a person created in the image of God. Christ, who today breaks the chains of death and emerges from the tomb, is our exodus from slavery. He purifies us from sin, from addiction, from circumstances, temptations and manipulations of a small group, whose members consider themselves the stewards of this world. He cleanses us from all that imprisons us and takes away our life. He, the risen Lord, is our exodus from our historical circumstances: in Him we will find victory in the war and overcome those who instigate and support it. Christ is also our gateway, our door (see Jn 10:7, 9). He is our way, truth and life (see Jn 14:6). He grants us freedom for the fullness of life, of love of God and neighbor, of building our own future in our God-given land. In the light of Christ’s resurrection let us not allow ourselves to be fooled by empty words and false promises, nor by the helplessness of those who lack faith in the truth and justice of the Gospel, and who only complain about their own fate. Christ, on the other hand, calls us to a different way of life. He rose from the dead in order to bring about a change in us, first of all, to move and raise me first, and through me everything and everyone in my surroundings. If I want a better society, country, world, then first of all I myself must become a better person. And the day of this great transformation, when our Sun rises, is indeed today! Today is our Great Day, our Velykden! Let us become great in our risen Savior. Christ has shone forth from the grace and is our Sun of righteousness. Enough complaining, it is time to act! The Sun is rising and new day is dawning. In the light of its rays we are given an opportunity today, this very day and time. Let us not waste it! Dear brothers and sisters in Christ. I greet you all with today’s glorious feast of Christ’s Resurrection, with the day of liberation from death and evil, and of the opening of the door to life, hope, and love. I wish you all the peace of Christ, that peace which is given us by Christ’s victory over evil and untruth, that peace for which every Ukrainian heart longs in the midst of war. Once again to all of you, in Ukraine and throughout the world, I send my heartfelt greetings. I sincerely wish every Easter blessing, a tasty sharing of our traditional blessed egg, and a Paschal joy that is full of light. on the Fifth Sunday of Lent, April 2, 2017 A.D.